Mobile Broadband from Currys PC World – Free Laptops! PAYG Mobile Broadband, Mobile WiFi, USB Modems and Home Broadband online now! Talk, text, browse the web, use apps and much more. Whatever you want to do with a mobile phone, we can offer you cutting-edge devices and deals to match. Want to only pay for your mobile as you use it? Then you’ll love our dedicated range of SIM-free handsets. Choose from entry-level models up to the latest smartphones, all without contracts. 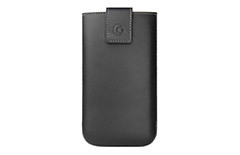 Find clearance bargains and save on selected pay-as-you-go iPhones, Samsung mobiles and more. 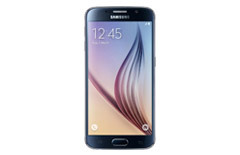 For the best pay-monthly mobiles, visit Carphone Warehouse, our sister supplier. Find a great-value deal with handset, call time, texts and data usage all included. Choose from handsets including models available at Ireland-low monthly prices, and pre-order the latest phones before they hit the streets. Alternatively, opt for a SIM-only monthly deal and connect to a mobile network using your existing handset. 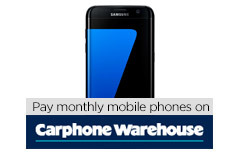 If you’re looking for a pay-monthly mobile, try Carphone Warehouse, our sister supplier. Here you’ll find great-value contracts combining handset, call time, texts and data usage. We also offer SIM-only contracts, so you can connect using your existing mobile. Choose from entry level mobiles right up to the latest smartphones with the latest technology. Whatever you’re after, we have the perfect model for you. Keep your phone in new condition for longer and protect from bumps, knocks and scratches with our wide range of cases and screen protectors. Stay fully charged and never let your battery die with our selection of chargers, adapters and cables. No matter how much you use your phone, you’ll never run out of power, even if you’re out all day. 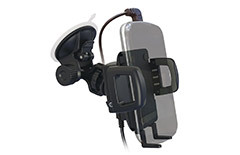 From hands-free car cradles to clip-on-lenses and selfie sticks, we have plenty of accessories that help you to get more out of your mobile. 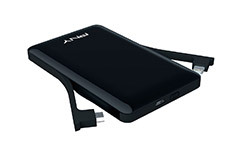 Keep your phone charged up and ready for anything with our selection of power banks. 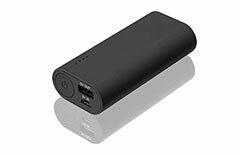 Be sure to check the battery capacity to see how many full charges you can gain.